Happy Thanksgiving!!! Even though I am a very cold girl in the UK wearing many knitted wear layers, today I am channelling a sun golden Cali babe. Wow, you can’t tell I hate winter in the UK at all, can you?? Since I started this blog I have shared many American recipes which has conveyed my love for the country such as Dammmmn Gurrrl Buffalo Wings, S’more Cupcakes, Filthy Pancakes (Double Stuff Oreo Pancakes) and more S’more action with S’more Cookies. Last year for the first time I made a Sweet Potato Pie which was a huge success! So for this year I’ve decided to try another typical Autumn/Fall recipe for me and my housemates to gorge on huge slices. 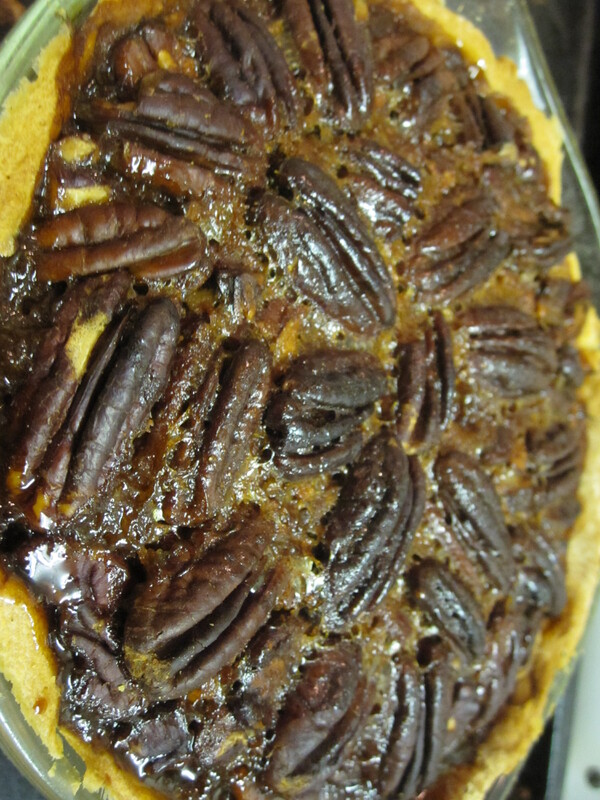 PECAN PIE!! I love the buttery flavour of the toasted nuts paired with maple syrup in a gooey sauce, yum. 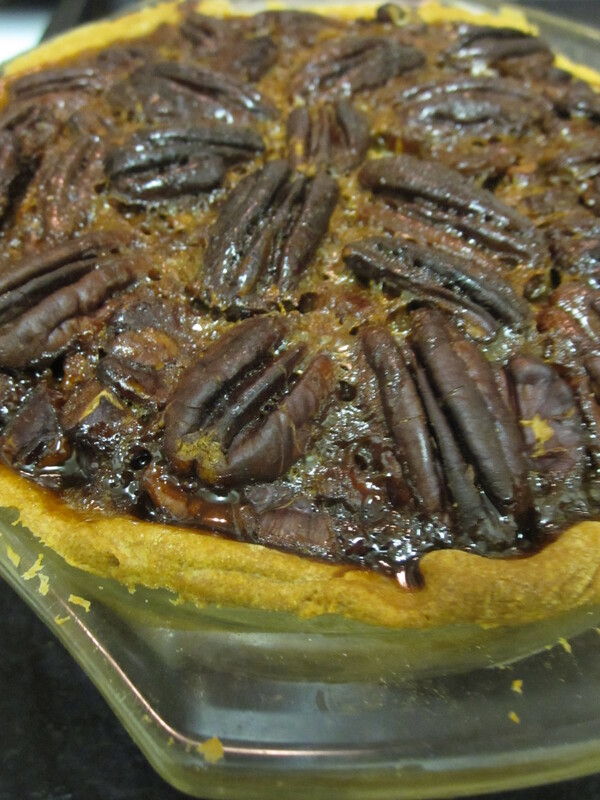 It was my first time making a pecan pie and unfortunately I didn’t quite have the right tin for it so it was a tad deeper than it should of been so the cook was longer to set the filling but still super good. I adapted slightly the recipe from Miette Cookery book I got from my parents as we had visited this gorgeous bakery in San Francisco a few years back. I hadn’t gotten round to baking anything from it but as a part of my Birthday Bucket List I didn’t google a recipe but go to my massive recipe book collection to make this beauty. Nice and easy, give it a go. Oven to 170C. Roll out the pastry to line a 7″ pie tin. Line with parchment paper and weigh down (I used black Japanese rice but baking beans is fine!) Bake for 15 minutes until the pastry is dry. Remove the parchment and beans and bake for another 5 mins. Cool and set aside. 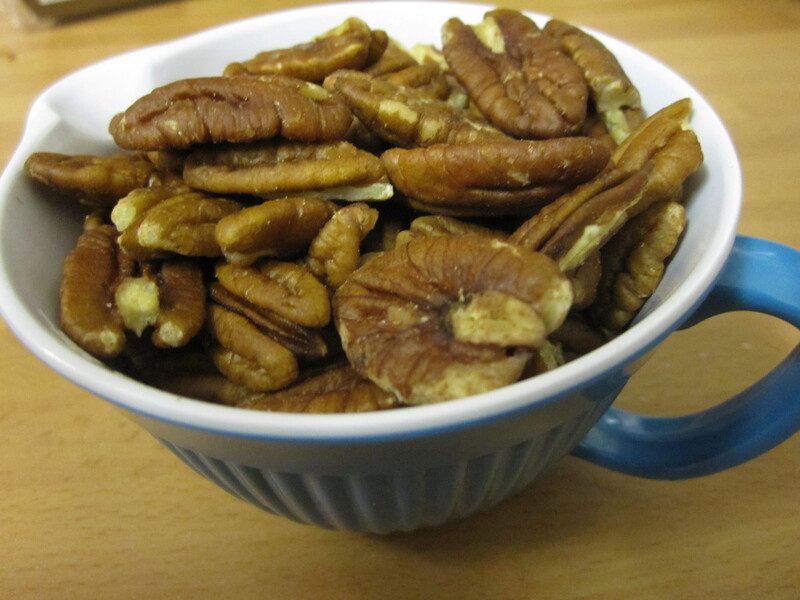 Spread the pecans on a baking tray and toast for 8-10 mins, should smell amazing. Remove from the tray to a bowl to stop cooking the nuts. Cool. In a stand mixer, mix the sugar, the syrups, eggs, double cream, salt and vanilla. Mix well. 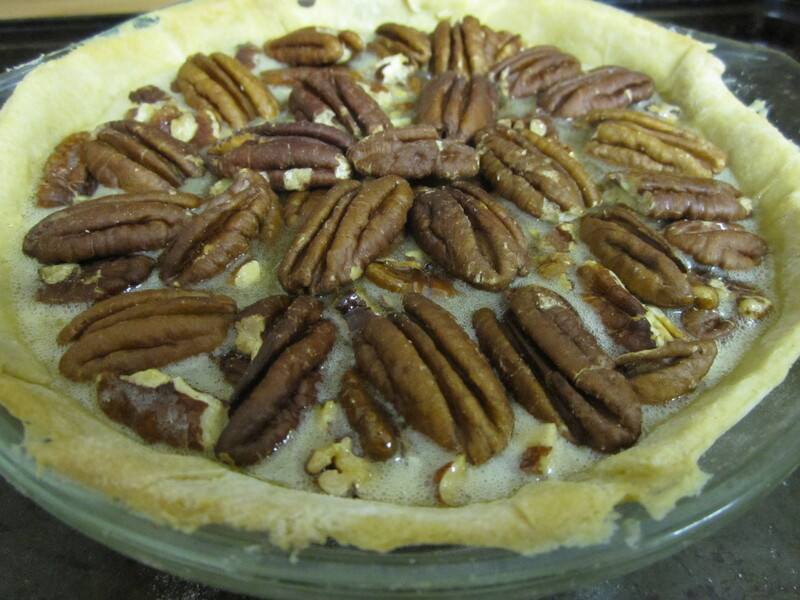 Select some nice looking pecans to decorate the top of the pie (approx. 20 halves), pour the rest of the nuts in the pastry case and top with the sugar mixture. 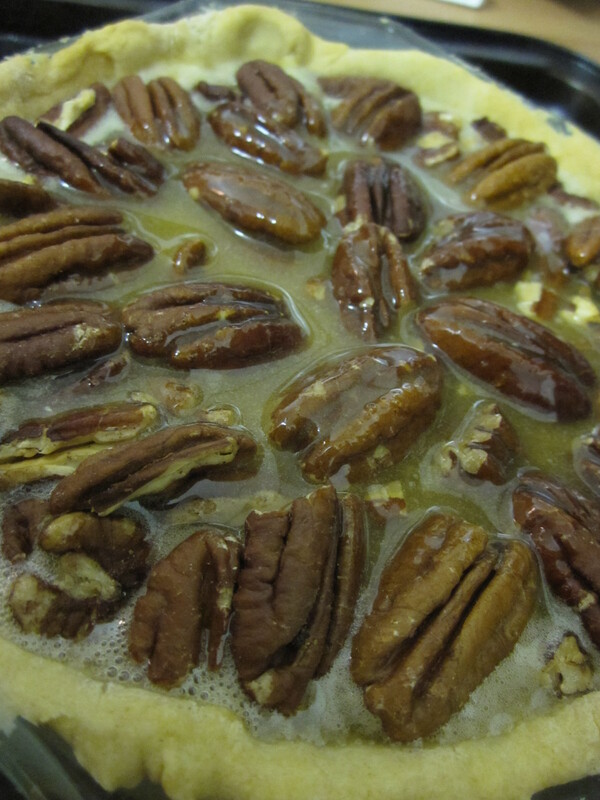 Carefully place the nice looking pecans on top and press slightly down into the mixture. Bake for 25 mins, cover the top with foil if the nuts are browning too much. You want a slightly set middle to the pie. Allow to cool completely. Serve with vanilla ice cream or just out of the pan with 3 forks! Thank you, you should give it a go, was so simple to make.